Hi loves! Today I have another stunning polish for you exclusively produced for Hypnotic Polish, your favorite European based indie webshop :-)! This time it's coming from Smitten Polish and it's called Elixir. 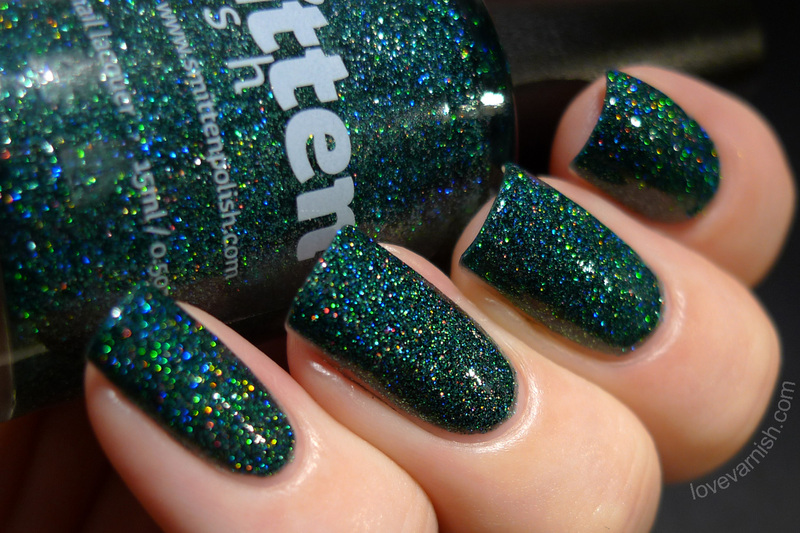 It's a lovely deep dark teal shade filled with a fine milled holographic glitter. Want to take a look? 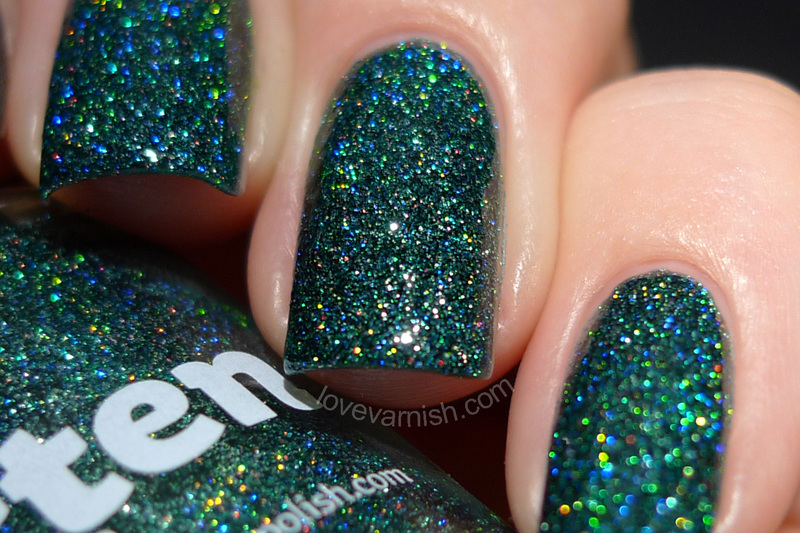 This is my first experience with Smitten Polish, Loqi has reviewed Enchanted Forest before though. The bottle design is nice and slim, but still holds 15 ml. of product. The brush cap offers a good grip and the brush itself is flat and fans out well, without becoming too wide. The polish formula is okay, the first coat was a bit patchy but with an additional 2 thin layers it all looked good. The finish is a bit dull so top coat is a must, it doesn't dry gritty though! 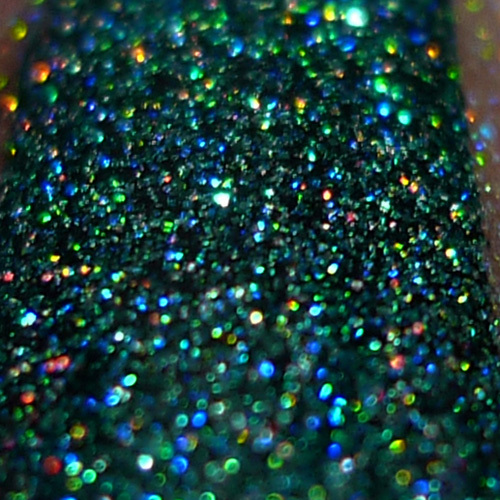 What you are left with is the most sparkletastic, gorgeous looking teal shade. Teal is my favorite polish color so no surprise that I love this, but all my love for teal aside this is a truly gorgeous polish. Hypnotic Polish can be really proud with this exclusive shade! It's already available so if you want a bottle, head over there NOW! What do you think of this shade? Yay or nay? Tell me in the comments! Hypnotic Polish is a European based indie stockist that ships internationally. Besides Smitten Polish, they also carry Dance Legend, El Corazon, Colors by Llarowe, Contrary Polish and many others. For more information check out their Facebook page or follow them on Instagram! Lovely swatch and that polish is ridiculously beautiful!